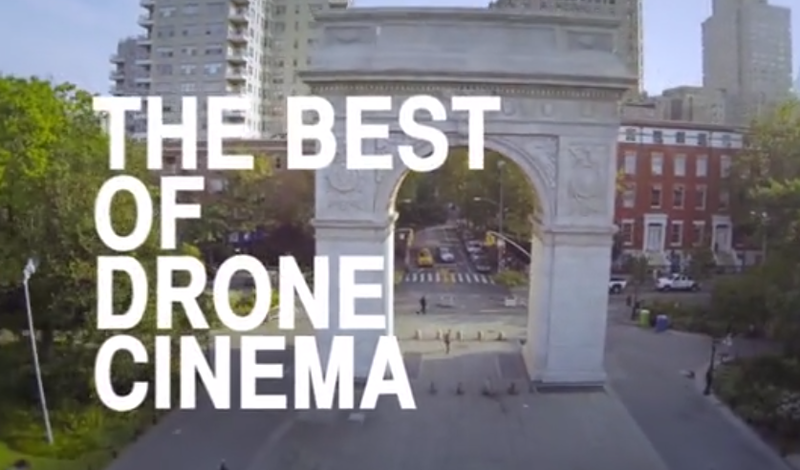 As we’ve mentioned before, you can’t open a new tab on your browser these days without coming across a mesmerizing aerial drone video. With so many out there, we can’t say we were surprised to learn that the New York City Drone Film Festival is something that exists now. Welcome to 2015! The human heading up the drone fest, director Randy Scott Slavin, told Bedford + Bowery that 40 to 50 videos will be screened out of the 150 he has received. Slavin said the goal behind the festival is to change the way people understand drones: “We need to remove this negative stigma—this spying, killing thing people associate with drones—and we need to appreciate it for the amazing cinematic tool that it is.” Sure, but the former doesn’t have to be overlooked to appreciate the latter. The event on March 7th is already sold out, but Bedford + Bowery has put together a fun list of some of the possible contenders; some of which are below. The big question going into the drone festival is, of course, how will Norman Foster’s video fare?